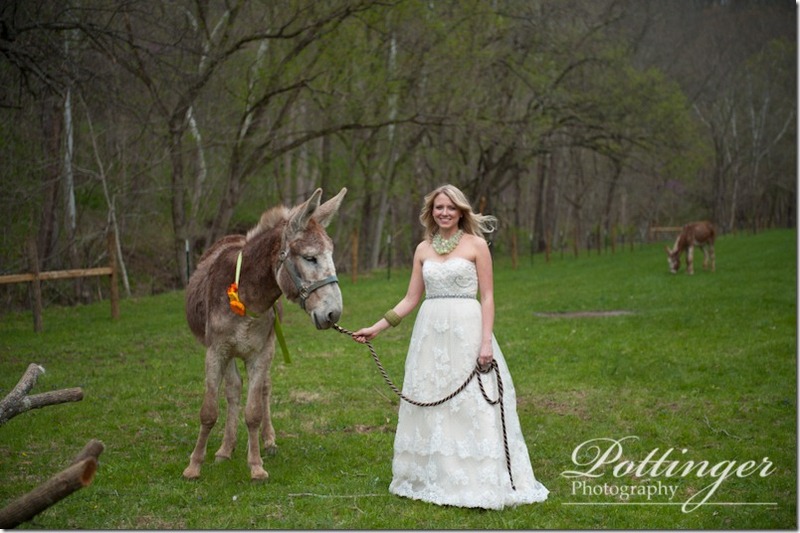 Posted on Monday, August 15th, 2011, by Brenda Pottinger under Misc..
Donkeys, a gorgeous table setting and a pink chandelier all on a Kentucky farm? This really fun photo session has been a secret for a long time! I am so excited to share all the fun we had at Potato Hill Farm in Augusta, Kentucky. The session was recently featured on the Wedding Wire Blog! Kristen from Yellow Canary did an amazing job styling and organizing this fun event. It was so nice to have extra hands moving the props around and making everything look amazing. It made my job so easy. Everywhere I turned there was something beautiful to capture! To see all of my favorite photos, be sure to check out our Facebook page!